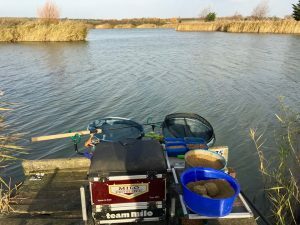 First match to report was at Marshside Fishery, it was rather windy at the start with it gusting to over 40mph, I drew with a side wind so the pole was pretty much a wast of time as I could not fish it long enough to catch a decent net of silverfish as they tend to sit out at 11m+ in the cold weather. I did catch few small roach on it but that was about it. 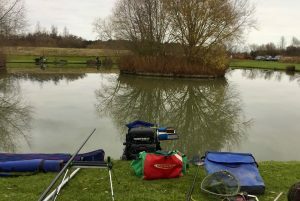 So the rest of the match was spent looking for invisible carp on the feeder and fighting the waggler to try and catch silverfish. I had a small carp about a pound and a handful of silverfish for a massive 5lb 12oz! A quick glance at the weigh sheet saw me last or almost last out of 13 fishing! 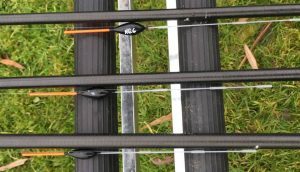 Were some reasonable silverfish weight for those that had a bit of calm water with over 30lb winning and a couple of 20s as backup. 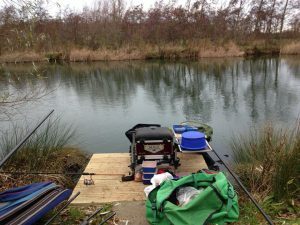 Was at Sandwich Fishery today and it was rather cold with a brisk north wind in my face all day! I wasn’t going to make the mistake the last two times I was here and look for carp I never seem to catch. 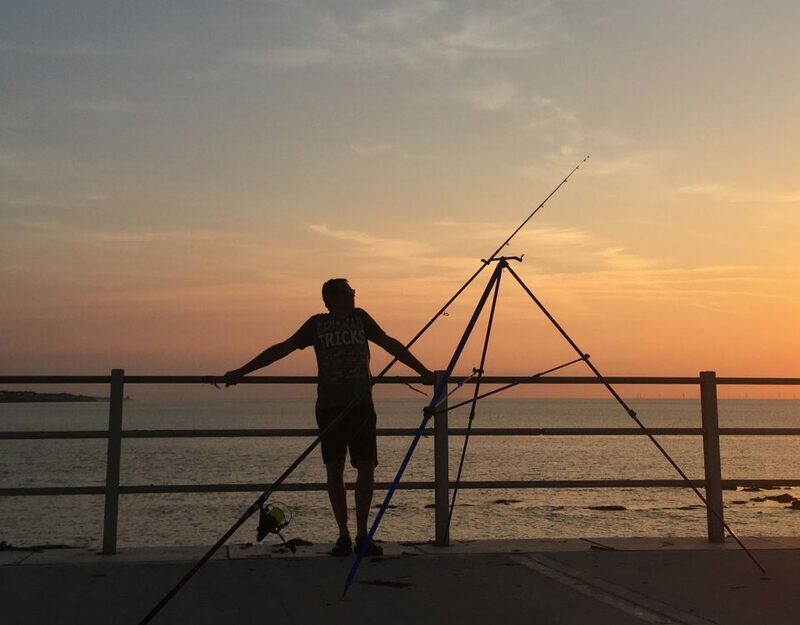 All I set up was a maggot waggler to fish at 16m+, and a couple of NG Glass Gimp pole rigs, one to fish at 9m the other to fish at 13-14m. 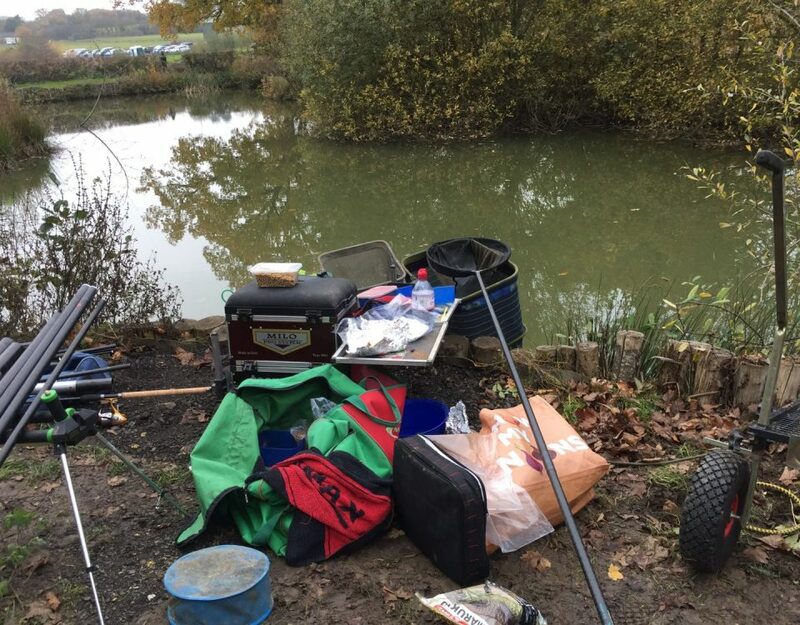 Caught nothing short on maggot but had various silverfish at 14m including a bream of about 2-3lb and 2 net perch biggest about a pound, all on maggot or pinkie, lose feeding maggot. The pole died about 1pm and tried to catch on the waggler further out but with had nothing apart from a perch at about 2.25pm as the whole lake turned off! 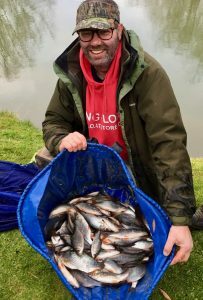 As it turned out I had enough to win putting 11lb 11oz on the scales, 2nd was 8lb 15oz (one carp and silvers), 3rd was 7lb 13oz (all silverfish). Was at Cottington today on the relatively small Heron Lake. 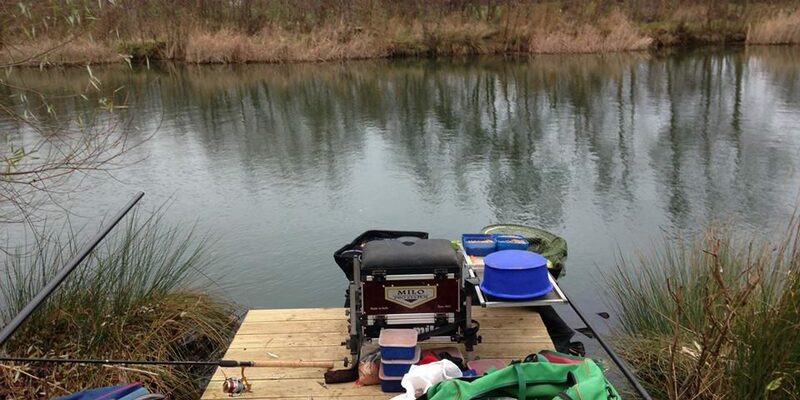 I’ve not fished this one before but it is apparently and full of roach, skimmers and big perch. Also carp but it was silverfish only today. 3 rigs set up, one to fish a top 4 to hand, one at about 7m, the other to fish at 11m+. 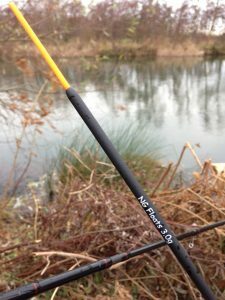 I also set up a waggler as I had a lot of open water in front of me. Bait was maggot for the roach and some pellet to feed long for the skimmers. Also mixed up a bit of Sensas Roach mixed with Lake. Fed long with pellet and started on the top 4 with maggot fished slightly to the right, it wasn’t long before I was catching a roach, plenty of them, almost one a bung, feeding small balls of GB and maggot seemed to keep them interested! Stayed on this for about an hour and eventually had a look long where I had been feeding pellet. Not a bite on the pellet, so put on a couple of maggots, caught a few roach on that but threw it up the bank after about 15 minutes, no point catching roach long when they are close in! The roach stayed on the short line for a good 3 hours and suddenly slowed down. Went out a bit longer and started to pick up a few but it was still slow, persisted with this for a while and started feeding out for the waggler with a hour to go, went on this in the last half a hour and had pretty much one a cast till the end, should have changed earlier! The scales come round and I had 35lb 10oz, this was enough to win, next biggest weight was 26lb, and there were six 20lb+ weights mostly roach. 15 fished.